Provide comfort for the family of Edward Mottor with a meaningful gesture of sympathy. Edward John Mottor, formerly of High Street, Dalton, and a resident of Craneville Place of Dalton for three years, died peacefully on Wednesday, March 27, 2019, at Berkshire Medical Center. Born in Pittsfield on January 15, 1929, the son of Frank W. and Mary Miner Mottor, he was educated in Hinsdale schools and was a graduate of Dalton High School. A veteran of World War II, Mr. Mottor served as a Private with the United States Army; and as a veteran of the Korean War, served as a Private First Class. 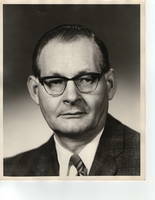 Mr. Motter was employed by General Electric Company where he was a winder in the Power Transformer Department. He retired on February 29, 1988 with 39 years service. wrest ling. He also enjoyed puzzl es, country music, gardening, and time with his grandchildren. He is survived by two daughters, Melia M. (husband Harold) Hoffman of Stephentown, N.Y., and Sheriann F. (husband Robert) Stanton of Hinsdale; five grandchildren, and many great grand­ children, and many nieces and nephews. FUNERAL NOTICE: Funeral services for Edward J. Mottor will be held Thursday, April 4, at 6:00 p.m., at DERY-FOLEY FUNERAL HOME in Dalton with Rev. Christopher A. Malatesta, Pastor of St. Agnes Church, officiating. Military honors will follow. Calling hours will precede the service from 4:00 to 6:00 p.m. In lieu of flowers, memorial contributions may be made to the Overcoming Obstacles Scholarship through the Berkshire Community College Foundation in care of the Funeral Home, 890 East Main Street, Dalton. To send flowers in memory of Edward J Mottor, please visit our Heartfelt Sympathies Store.